The ultimate top-of-the-line racing watercraft combines power, handling and control like nothing else on the water. And with the new 300-hp Rotax 1630 ACE engine, nothing else will come close to you on the buoy course. ERGOLOCK SYSTEM: A narrow racing seat, specially angled footwell wedges and Adjustable Ergonomic Steering (A.E.S.) allow you and the machine to become one. Locking in your body provides even better handling and more control. ADJUSTABLE REAR SPONSONS: An efficient design that improves cornering stability. 3-position adjustable for your skill level and riding environment: higher for a more playful freeride experience or lower for sharper turn. Winglet feature enhances lean angles during turning. T³ HULL: Innovative, multistage design with very hard chines in the back and soft chines in the front. Allows for more precise cornering, enhances lean-ins, cuts water and tracks better; extremely responsive. 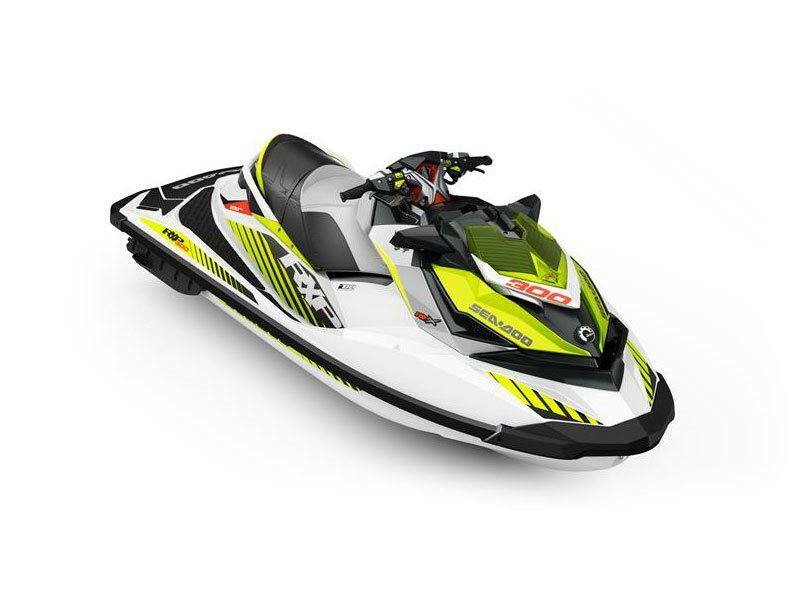 1630 ACE ENGINE: It is the most powerful engine on a Sea-Doo watercraft. Proven ACE (Advanced Combustion Efficiency) technology and industry-best power-to-weight ratio* delivers ultimate performance.